A father spoke out about deputies being called on him at son's soccer game. 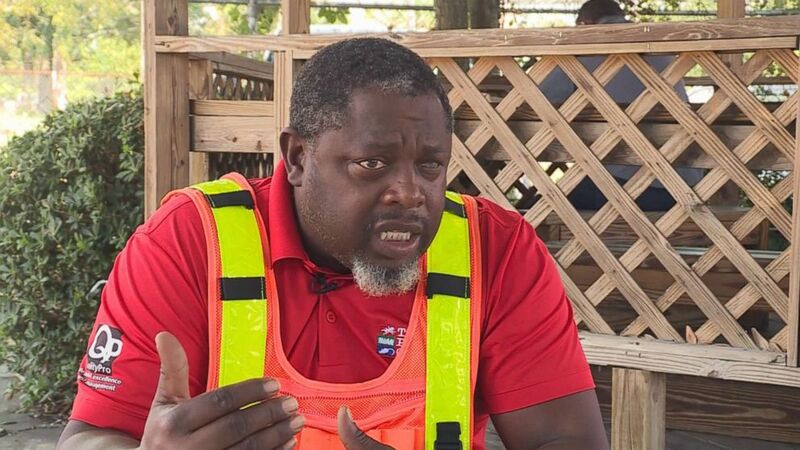 A black soccer dad who says sheriff's deputies were called on him for yelling instructions at his son during a Florida youth game broke down in tears as he spoke out about his encounter with a golf cart-riding white soccer official. 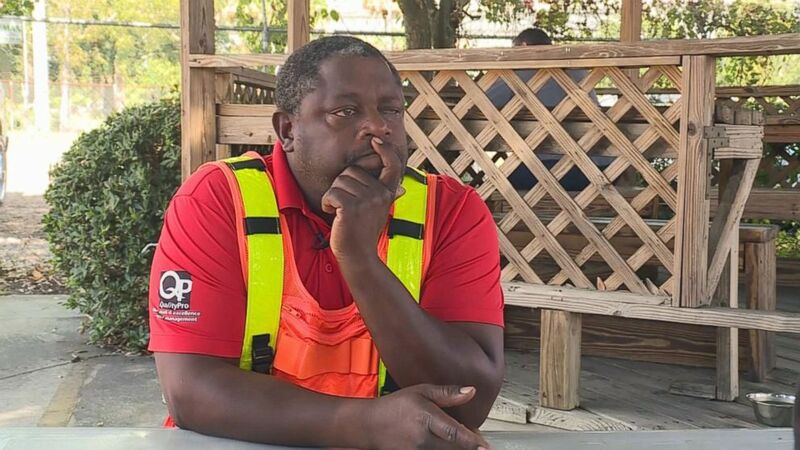 Gerald Jones says that since the incident on Sunday in Ponte Vedra he has thought hard about what could have happened had he not voluntarily agreed to leave his 13-year-old son's soccer game to avoid trouble. "Anything could have escalated -- me going to jail, my kid seeing me like that," Jones said during an interview Wednesday with ABC affiliate station WJXX-TV in Jacksonville, Florida. Jones said he was only yelling at his son from the sidelines to not argue with the referees when a white field marshal rolled up to him on a golf cart and started scolding him. 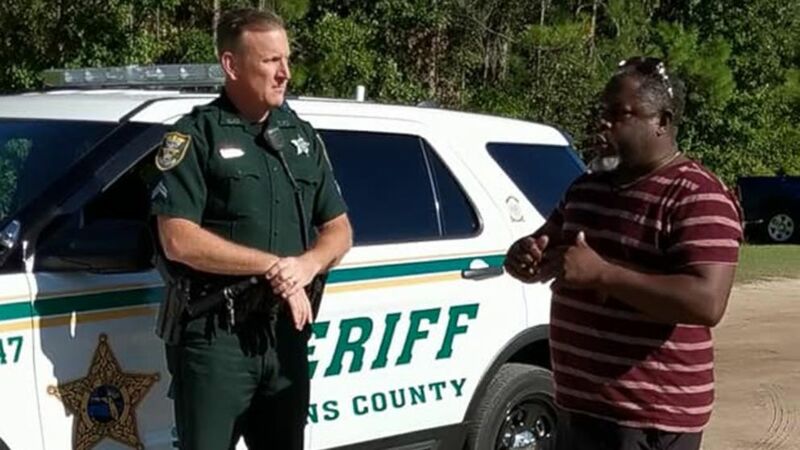 (WJXX-TV) Gerald Jones, 47, speaks about having sheriff's deputies called on him by a white soccer officials for yelling at his son not to argue with the referees during a soccer game on Oct. 13, 2017, in Ponte Vedra, Fla. He said that during the game between his son's team, Oak Leaf, and Ponte Vedra, he noticed his son was about to dispute a call on the field and decided to intervene from the sidelines. 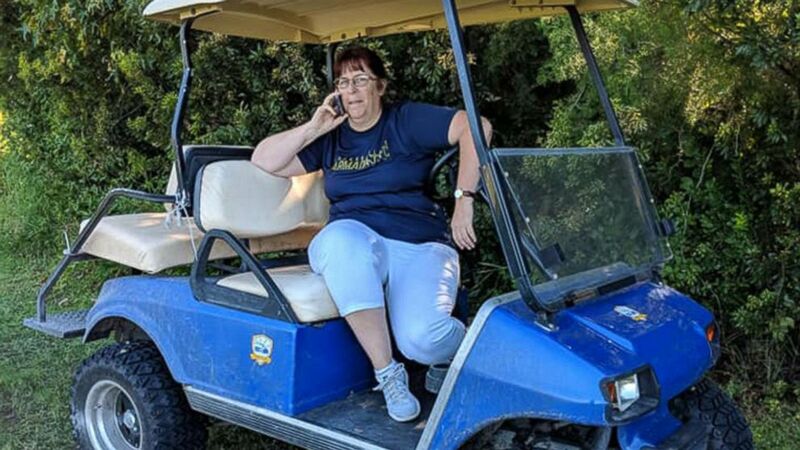 That's when the field marshal rode up to him on her golf cart and threatened to call the St. Johns County sheriff's deputies. Jones said the field marshal called the authorities even after he volunteered to leave the game. Ginger Williams, a white woman whose son plays for Ponte Vedra, said she pulled out her cellphone to record Jones and the field marshal being questioned by deputies after she heard the field marshal allegedly tell Jones, "I no longer feel safe due to your threatening behavior." (Courtesy Ginger Williams) This unidentified field marshal at a youth soccer game in Ponte Vedra, Fla., called sheriff's deputies on an African American father after he yelled at his son from the sidelines not to argue with the referee over a call, according to video and witnesses. In the video, the field marshal is heard telling a deputy, "He just got nasty with me." Williams posted the video on her Facebook page under the headline "soccer while black" and dubbed the field marshal "Golfcart Gail" in the post that has since gone viral. She and another witness, Maria Morales-Walther, who also made a cellphone video of the encounter, both told ABC News that Jones was only speaking to his son and not the referee and he never threatened the field marshal. Jones said he believes he was racially profiled because the field marshal had earlier thrown out a white father who had openly questioned a referee's call but she did not call authorities on him. Asked if he deserved an apology from the field marshal, Jones responded, "Absolutely." (Courtesy Ginger Williams) An African American father had sheriff’s deputies called on him at a youth soccer game in Ponte Vedra, Fla., after he instructed his son from the sidelines not to argue with the referee over a call, according to cell phone videos and witnesses, Oct. 13, 2018. He began to cry when recalling a conversation he had with his son, who is biracial, about the incident. "I'm working hard every day," said Jones, who is an auctioneer. "Do everything right. Love everybody. And my son, he's like, 'Hey, I just don't understand it.' I don't understand it. Something has to be done. What can be done? I don't know, but it's just too much." Gary Easom, president of the Ponte Vedra Athletic Association, stood by the field marshal's decision to call deputies and said the incident has been "sensationalized" and that it was more about parents behaving badly. He said the field marshal called the deputies as a "result of a culmination of several immediate prior incidents." "It was an unfortunate incident and I am sorry it happened, but our team acted appropriately to protect the children, consistent with our organizational mission," according to a statement from Easom.